Use products with natural oils such as olive, jojoba, coconut and shea butter. 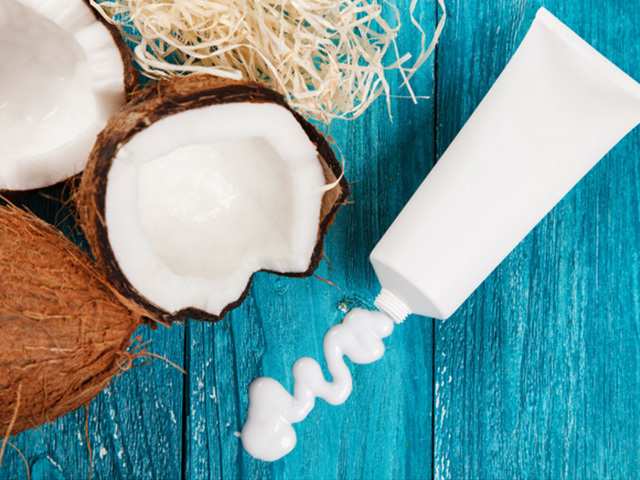 Dry skin can be painful, and lotions can cause irritation. For such individuals in these more extreme circumstances, it is recommended to use creams and ointments rather than traditional lotions. Experts believe such products are more soothing, effective, and less likely to cause irritation. An often lesser known fact is that the shower and bath can actually contribute to dry skin. A few shower and bath tips include keeping them under 10 minutes and closer to 5 minutes is even better, use warm water rather than hot, avoid creating a thick lather with soap, use a gentle soap, and blot your skin dry rather than to rub it harshly. Some of the best foods for hydrating from the inside include leafy greens such as spinach, berries, and foods with fatty oils including avocados, olive oil, and salmon. Do not forget to avoid foods heavy with salt, fast food, fried food, sugar, and refined carbs. You knew this one was coming! Avoid caffeine and excessive alcohol consumption, as mentioned in our article about dry skin during winter, and drink plenty of fresh water and teas of the herbal varieties. The recommended daily water intake is 3 L (100 ounces) for adult males and 2.2 L (74 ounces) for adult females. Keep in mind that if you are an active individual, you should drink more water to compensate for hydration loss due to sweating. Dry environments such as cold winter climates and the desert are also top contributors to dry skin. Try using a humidifier to create more moisture in your home. And, if you are cold, put on more clothes rather that to use heat sources such fireplaces and space heaters. To seal in the moisture in your skin, apply lotions or creams as soon as possible after washing. It is said that the best timeframe to apply lotion to your face and body is within a few minutes of drying off after a bath or shower. Dermatologists recommend shaving after a shower or bath as this is when your hair is the softest. They also state to change your razor frequently, to shave in the direction the hair grows, and to use a gel or cream when shaving to prevent irritation and additional loss of essential oils. Products are another key ingredient in dry skin prevention. The best products for keeping your skin hydrated are mild exfoliants, non-alcohol based products, night creams, chapstick, and sunscreen. Keep in mind that you should also select products based on your skin type for the best results. To keep your skin looking its best, try to make these small changes to your routine on a daily basis rather than to wait until you have an issue. A little upkeep each day will give you the best-looking skin for the longest time possible. Start by following these dry skin prevention steps now and your skin will look amazing come springtime when you begin to show more skin and days become longer. Thanks you very much for sharing these tips of preventing dry skin. I think, we should take care of our skin on a daily basis only then it will look fresh and give us inner glow. Even I also follow the same routine along with the healthy diet, so that my skin looks hydrated. Water is the most important component that keeps our skin fresh and alive.